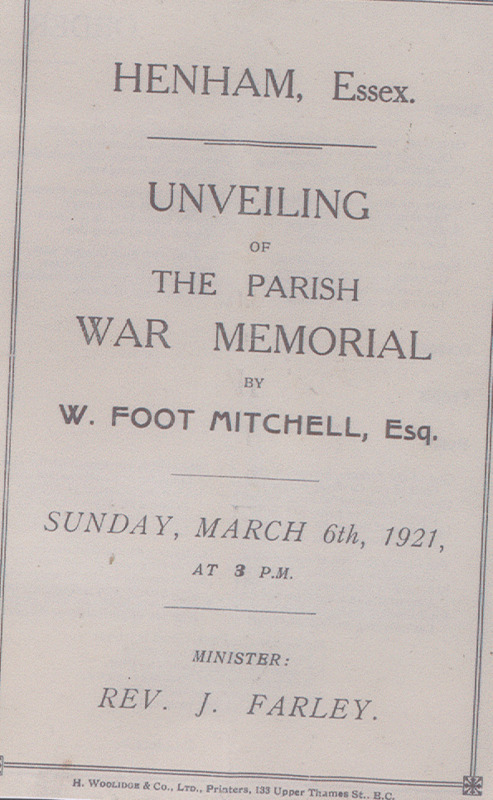 The original War Memorial was unveiled on 6 March 1921 by Sir W Foot Mitchell M.P. below is an order of service and I have also reproduced the hymns that were sung on the day. Sir Foot Mitchell read out the names and the vicar present was Rev W Farley, one family in the village referred to him as the hairy baboon and Old Windbag. 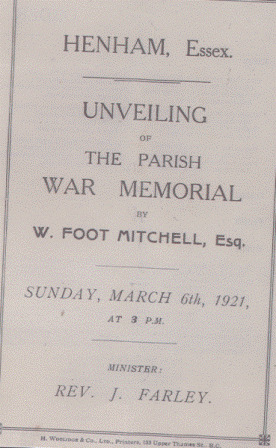 In 1946 an additional name was included on the War Memorial. 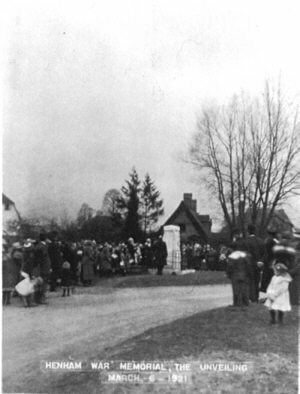 However, this is not the only war memorial in the village. In 1945 there was a celebration of Victory in Europe (VE) day. 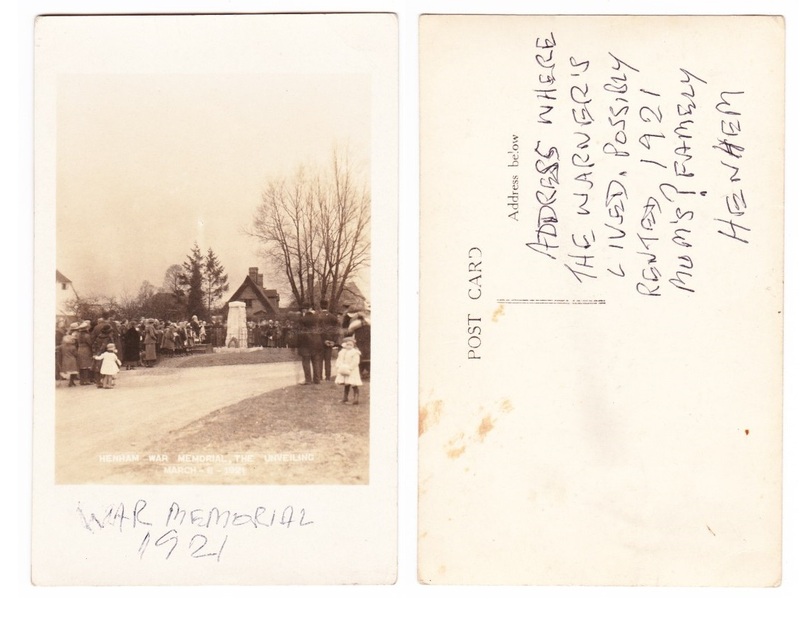 One of the people who attended this service was Robert Napier who sadly lost his life a few weeks later whilst serving in the Pacific Ocean. 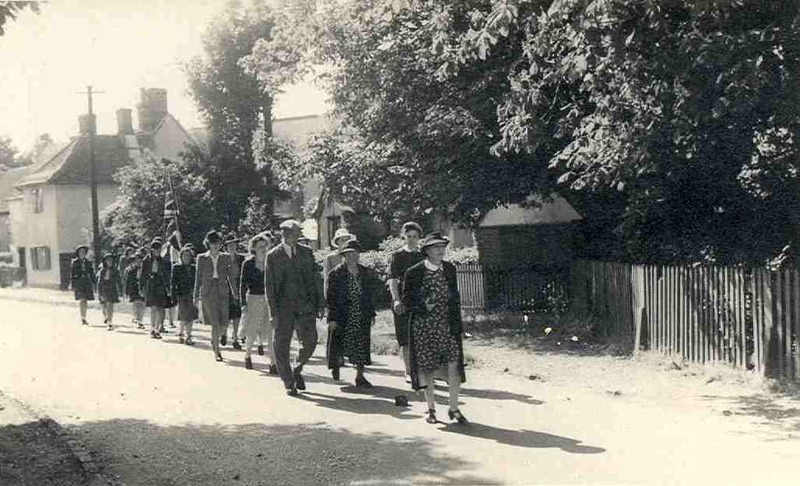 The parade is being led by Mrs Wellington, head of the first-aid group.